This interactive presentation contains the latest oil & gas production data from all 7,232 horizontal wells that started production in the Niobrara region (Colorado & Wyoming) since 2009/2010, through November. November was good for another oil production record, at a level about 50% higher since the start of the year. With well completions almost double the number of November last year (113 vs 61), but still lower than at the end of 2014, it is especially the combination with rising initial well productivity that is causing the remarkable boom in output. Gas also set a new high, though the growth rate for 2017 is smaller than for oil (you can see this if you switch ‘Product’ to ‘Gas’). The average performance of wells in Weld county, the core of this region, is still well below that of the other oily basins, due to shorter laterals and shallower depths. The decline is also rather steep, as is visible in the ‘Well quality’ overview. Wells that started in early 2014 are now already back to a level of 20 barrels of oil per day. All large operators showed growth in output at the end of 2017, although Devon was still just producing at half the rate it had in March 2015 (see ‘Top operators’). In the previous Niobrara post I mentioned that Anadarko showed a large loss in production in September 2017, but it appears that this was just a data reporting issue, as this is no longer the case. In this “Ultimate Recovery” graph, the average cumulative production of all these horizontal wells is plotted against the production rate, which provides some indication on the ultimate recovery path that they are tracking. Wells are grouped by the quarter in which production started. As you can see, there was a remarkable change in performance for wells since Q4 2016, with rates almost 50% higher than before. With decline rates rather steep, these wells offer also some interesting data on whether and how well behavior changes at lower production rates (< 20 bo/d). 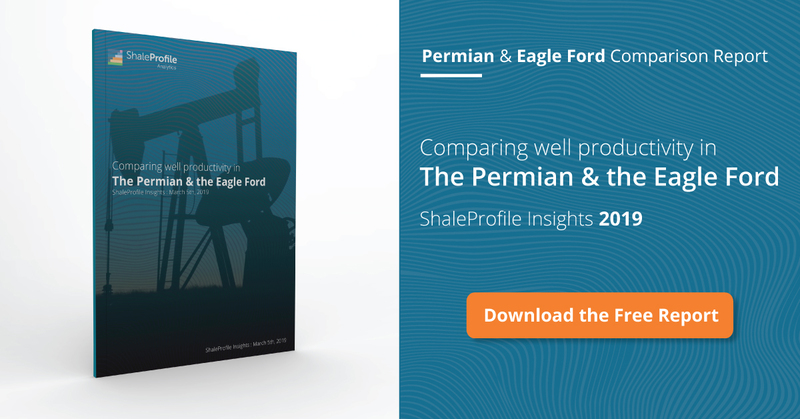 Next week I’ll have another update on the Marcellus, followed by posts on the Permian and Eagle Ford.